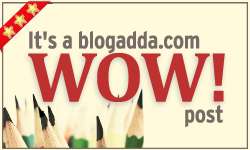 This was a Blog Adda WOW post for Nov 8-10 weekend. ’38 Missed Calls,’ the screen read. All in a span of ten minutes. He wondered what was going on. A look at the phone time and a small mental calculation told it was afternoon in India. Surely she knew it was just over midnight for him. She always kept tab of his timings, and timed her calls accordingly. That is, when they were still together, but that was more than three years ago. Why was she calling now? And in such a frantic manner? Ratan sat up in his bed and reached for the water jug on the head board. A gap in the curtains revealed a thick sheet of white outside. His heating system was keeping him warm and comfortable though. Looking at the way his sheets had spread out he realized he had been lying across the bed. Not that it mattered to anyone, for he was the only one who slept on it. In fact, he had wondered many times, why did he need a king sized bed at all. Did he fancy that one day she would come and sleep in it? Well, that was out of question, and he had no intention on someone else occupying that position yet. Maybe he thought buying a king size bed will make him feel like a king. Duh! Whatever! He had bought it in a moment of inspiration, and it was helping him to freely sprawl whichever way he liked, so no worries. Well, what choice did he have? She was elder than him, and his parents would never agree. In retrospect, maybe they would have after some persuasion, but he didn’t want to go through all the struggle. He just didn’t feel like it. So after making her wait for nearly two years, one day, he told her in the plainest words possible – I cannot marry you. There is nothing in this relationship. He knew it had shattered her in the worst way possible, but was glad that in some way, it also toughened her up. Still, he also realized that there would always be a part of her that would think about him. As would be a part of him. But she cannot know that. She should not know that. 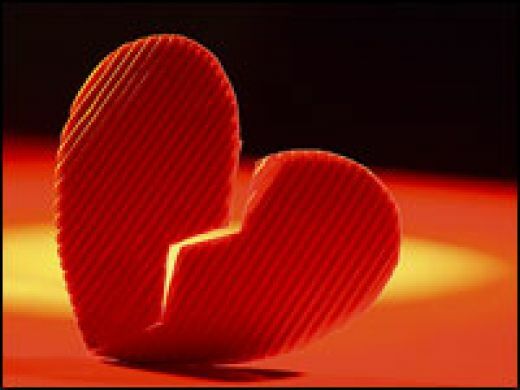 He had maintained as tough a stance as possible during the breakup, almost heartless. And then he had put in as much distance as possible between them. So now, across all that distance, all those years, why were there so many calls? He fingers were itching to hit ‘call back’, but his mind held him back. He understood then how Hamlet felt when he said, “To be or not to be…”. What if his call gives her the hint that he still cares for her? Would she want to get back again? That would open up a whole new Pandora’s box, and he was not ready for that. Still, 38 missed calls in ten minutes? “What? Wait let me check…” There was a long pause at her end, while he waited, thoroughly confused and wondering what this was all about. If he had been searching, rather hoping for a sign of the former spark, he could sight none. All he could hear in her tone was a completely harrowed but a happy mother of a two year old. And she seemed to be in a hurry to end the conversation. “Err… no… no problem. I was just sleeping….” he said, feeling foolish. “Oh! Is it night there?” She seemed distracted. “Look, sorry again Ratan. Can I talk to you later? The little tyke has moved on to the TV now, and is trying to pull out the wires.. gotta run!” And the call ended. oh. i experience this many a time :(. my name appears on top of most of my friends list and i have got waken up nights due to such calls :). Delightful read. But it has to be coming from a published author. Hey yamini…a good one….and I loved the way it ended 🙂 Poor Ratan!!! Hi, Very nice. I loved the ending 🙂 Little tykes indeed. Thanks Poornima! Tykes they remain, little or not, don’t they? Thanks Preethi 🙂 Sure they do, with kids the world changes. A fun read. Gotta love the little tykes.